The technology company Continental steadily pushes the boundaries of autonomous vehicle technology, exploring new use cases and advancements every day. 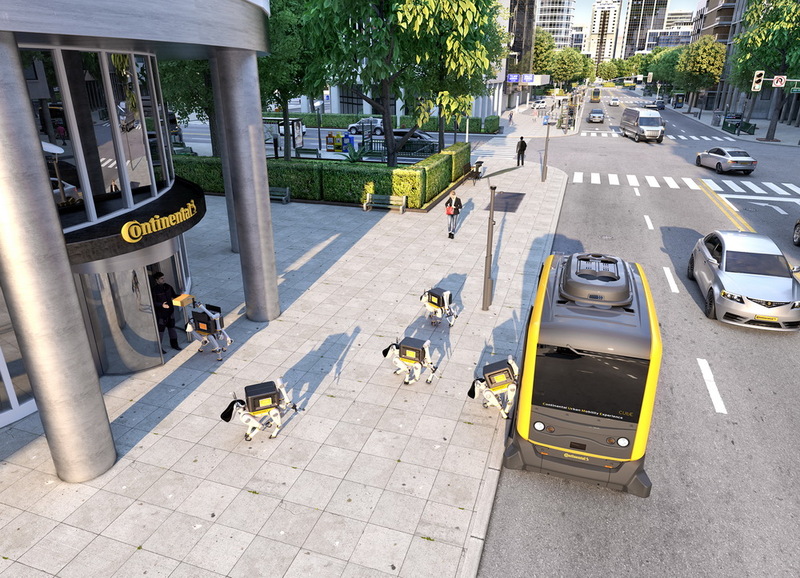 At CES 2019, January 8-11 in Las Vegas, Continental will exhibit how a driverless vehicle could be used to stage and deploy delivery robots, taking packages all the way to the consumer – even when they’re not able to physically receive them. Automated goods delivery is as an integral part of future urban mobility. Delivery Robots take the packages all the way to the consumer. Driverless vehicles offer a smart solution to meet the challenges of urban mobility. Driverless vehicles will represent a very important element in the Smart Cities of the future. They are considered by many experts as a key element of future mobility concepts to solve the challenges of the urbanization. A driverless vehicle can be in use almost 24/7. Innovative city planners see driverless vehicles as a valuable addition to public mass transport by eliminating the need for a privately owned car to get to the nearest point of access to other means of transport. Since many deliveries are made during the day, when many people are working, at school or otherwise occupied, the robo-taxi’s off-peak hours could be perfectly utilized for such delivery trips when combined with delivery robots such as this.